Good planning for pregnancy could make all the difference for your health and the health of the baby. There is evidence showing that the women who take care of the baby while he or she is still in the womb have healthier and happier children. In our days it is popular to seek some help even before you get pregnant. There are different kinds of specialists that can offer you help regarding the planning, including naturopaths, midwifes and doctors. You should visit them for in depth information, otherwise the information that you receive is quite limited and basic. 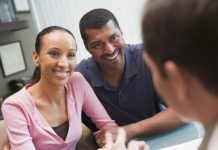 Why to have pregnancy planning? The main point is to prepare the body for birth and pregnancy and for everything that follows. The preparations should start at least four months before you start trying to get pregnant. In case this isn’t an option for you, you should start at least a month before you start trying. In case you start with planning for pregnancy at an early time, you will have higher chances of getting pregnant fast and the recovery after birth will also be easier. It is a well-known fact that all women who are planning on getting pregnant should take supplements of folic acid. This will promote the growth and development of the baby. As a result of pregnancy planning and taking supplements it has been shown that the birth defects of the babies gets reduced, including spina bifida. Specialists recommend that you take at least 500 micrograms of folic acid every day a month prior to the pregnancy and in the first three months of pregnancy. According to planning for pregnancy advises you should also be taking some other nutritional supplements. It is a good idea to see a specialist in this field. The supplements that he or she may recommend include minerals and multivitamins, such as iron, zinc and calcium. Also regarding pregnancy planning it is also important to have a balanced diet and to drink plenty of water on daily basis. The place you should start with regarding planning for pregnancy is visiting a preconception health care provider. He or she will probably ask about your medical history and perform a physical exam. Also you could have some blood tests. These include tests for ferritin levels and blood count and also a test to see whether you are immune in case of rubella. When it comes to pregnancy planning, there are some other tests that you could ask to have. There is also a test to check the protein levels of the urine along with glucose and signs of some kind of infection. The practitioner could also suggest you to have a Pap smear. Think about getting your blood pressure checked to make sure that it is within the normal range. There is a lot you should know regarding planning for pregnancy and this is why you would better set up an appointment with a specialist.